Just like our own teeth, dog teeth need regular dental cleanings to remove plaque and tartar build-up. Neglecting to do so can lead to several dental problems for your Miniature Schnauzer including the gum disease gingivitis, tooth decay, and tooth loss. If left untreated, gingivitis will develop into periodontal disease. Your Schnauzer's gums will begin to break down, increasing the risk of harmful bacteria entering your dog's bloodstream. And once bacteria enters the bloodstream, your Miniature Schnauzer's immune system is compromised which in turn could lead to diseases of your Schnauzer's vital organs. In fact, studies have shown that dogs with poor dental health are more likely to suffer with heart disease, liver disease, and kidney diseases. Research from the American Veterinary Dental Society (AVDS) has found that 80% of dogs develop periodontal disease by the age of three! So you need to be diligent about proper canine dental care. In fact, brushing your Schnauzer's teeth is one of the most important things you can do to extend his life. Your Miniature Schnauzer will lose his baby puppy teeth around 4 to 6 months of age. At that time the adult dog or permanent teeth replace them. Your Miniature Schnauzer has 20 teeth in the upper jaw and 22 in the lower jaw for a total of 42 dog teeth. Brushing your Schnauzer's teeth only takes about a minute a day and the pay off is huge! dog teeth tip: Start brushing your Schnauzer's teeth daily, RIGHT AWAY! As a puppy! It will help stimulate his gum lines and help him become comfortable with the process of having routine dental cleanings. Does your Schnauzer have bad dog breath? Do you no longer encourage him to give you smoochies? If so, your Schnauzer is showing signs of dental problems developing. Nip it in the bud. Caring for dog teeth is not that hard and you will save your dog from a lot of pain and suffering. Before we teach you how to brush your dogs teeth, here are just a few of the mouth problems caused by poor dental hygiene in dogs. Plaque develops as a result of foods being left on dog teeth for too long. The bacteria that lives in the mouth secretes acids which over time results in destroying tooth enamel. Plaque can also get up under the gum lines and destroy bone support to the tooth causing tooth loss. Plaque forms every 6 hours and the only effective way of removing it (other than professional treatment) is by brushing your dogs teeth. So you need to brush your Schnauzer's teeth every day! I like to brush my Schnauzer's teeth just before bedtime. I use the dental gel to clean my Schnauzer's teeth every night just before bedtime. 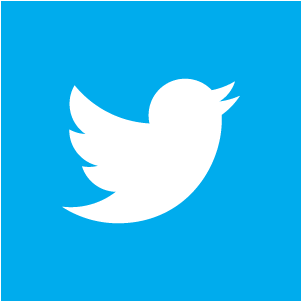 This allows the product to work more effectively, since there is no more drinking or eating through the night. I like to use the spray in the mornings, too. 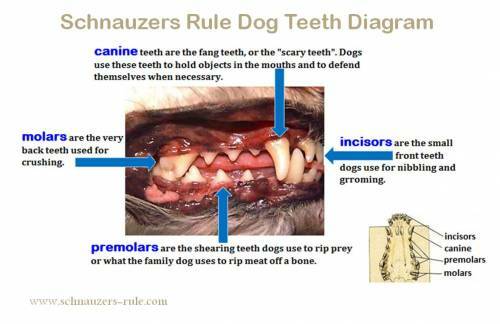 If plaque is left on your dogs teeth, it begins to harden (dental calculus). Tartar is the visible brown stains on the enamel. Once your dog has tartar build-up the only way to safely remove it is with a professional dental cleaning under anesthesia. Bad breath (halitosis) is one of the first indicators your Schnauzer is developing a mouth problem. It is brought about from odor-producing bacteria of the mouth or gut. It is a good idea to have your vet examine your Schnauzer first to determine the underlying cause. If your Schnauzers breath is fruity or sweet-smelling, it could be a sign of diabetes. And more foul breath could be liver or kidney disease. But in most cases, bad breath can be cured by feeding your Schnauzer high-quality dog food and daily dental brushing. Gingivitis appears as red inflammation of the gums caused by the plaque build up on the tooth's surface and beneath the gum tissue. Plaque is a sticky coating that is made up of bacteria, acid, food, and saliva. It is constantly forming on the surface of the teeth. Once it hardens, it forms a substance called dental calculus or tartar on the teeth. Besides resulting from a major accident or trauma to the face, your Schnauzer can fracture or chip a tooth just by chewing on bones, hard chew toys or any other hard object. And since dogs like to hide pain, the condition may go unnoticed for quite some time. So it's good to be aware of signs that could indicate your dog is having mouth pain. If you notice any of these changes in your pet, please seek veterinary advice. Periodontal disease is a bacterial infection that destroys the attachment fibers and supporting bone that hold the dog teeth in the mouth. If left untreated, it can lead to tooth loss as well as spread infection throughout the body affecting your Schnauzer's kidney, heart, liver, and nervous system. The main cause of periodontal disease is bacterial plaque. Plaque is a sticky, colorless film that is constantly forming on teeth. Periodontal disease can seriously undermine your Miniature Schnauzer's health. In the early stages it might be difficult to recognize the signs of periodontal disease, as the changes are subtle. The first and most obvious sign dog owners will recognize is bad dog breath. Your Schnauzer should not have bad breath. It is not a normal condition and a telltale sign that your dog is in need of better dental care. This is serious stuff people. So serious, that if left untreated... major organ failure could occur leading to the premature death of your Mini Schnauzer! 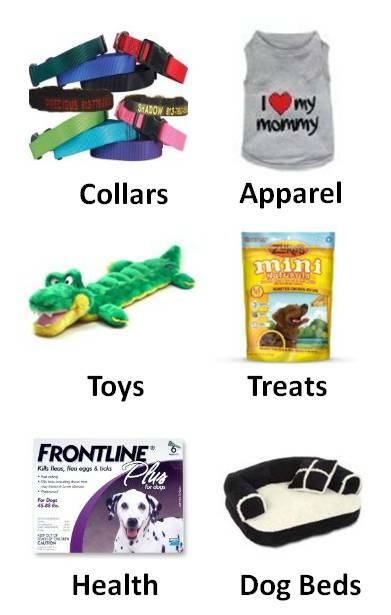 Providing daily dental care to your dog, will also alert you to subtle changes in you Miniature Schnauzer's mouth so you may bring them to the attention of your veterinarian. You must stop periodontal disease before irreversible damage occurs, so brush your Schnauzer's teeth daily! "Knowledge Share"... If you found this article on dog dental care helpful and informative, please share it with your dog-loving friends by clicking on one of the share links (like facebook, twitter, and google +1) located at the top right or bottom of this page. 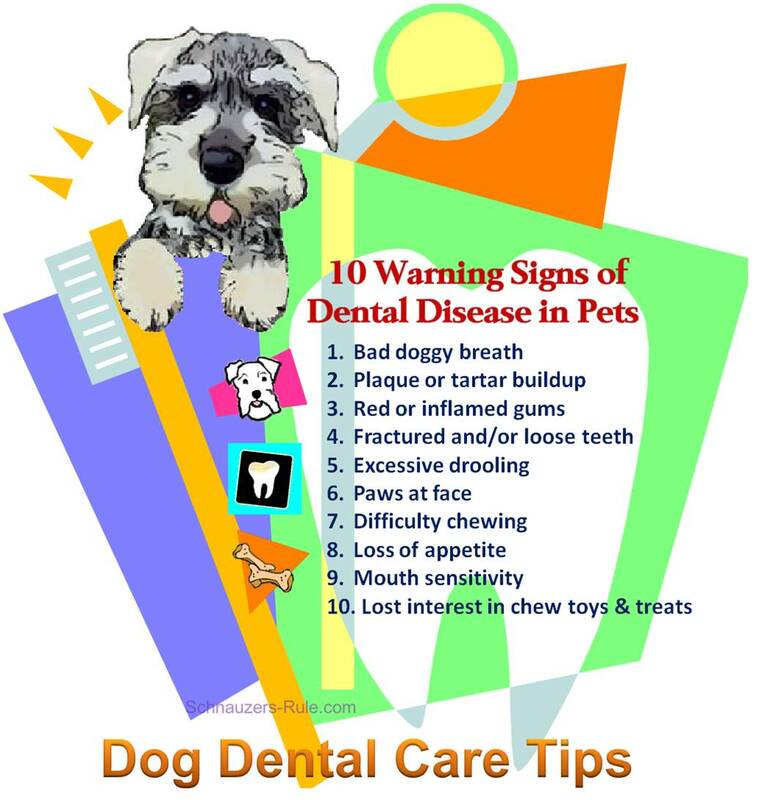 Be sure to share our Infographic below with your pet pals so they too will know the warning signs of dental disease!